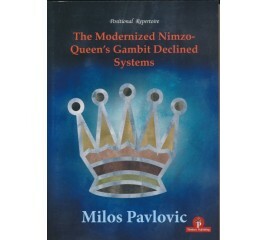 This book, the second in its series, provides an overview of the positions and corresponding plans arising from the Queen's Gambit. 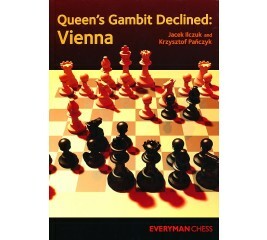 The Vienna Variation is a particular and independent system of the Queen’s Gambit. It arises after 1.d4 d5 2.c4 e6 3.Nf3 Nf6 4.Nc3 dxc4, when black’s capture on move 4 is strongly reminiscent of the Queen’s Gambit Accepted. 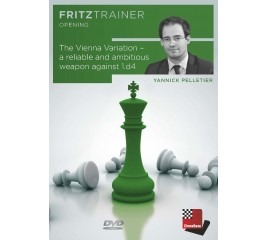 On this DVD, GM Yannick Pelletier offers you a complete repertoire in the Vienna, while covering the numerous possible deviations by White. 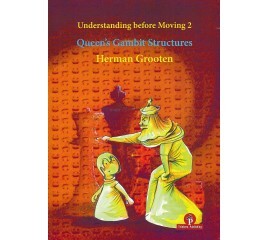 He also analyses thematic games which illustrate the most important middlegame ideas. The Vienna variation of the Queen's Gambit Declined is a complex and fascinating system arising after 1 d4 d5 2 c4 e6 3 Nc3 Nf6 4 Nf3 Bb4 5 Bg5 dxc4. 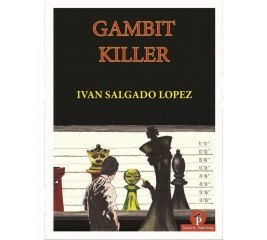 This book is simply a must for anyone who wants to be fully prepared to engage in battle against a gambit player. If you are a gambit player yourself, you need to this to prepare yourself for new challenges to your systems. 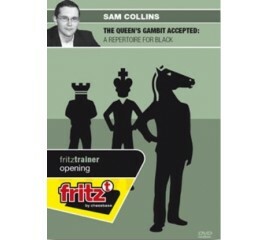 In this DVD Sam Collins presents a repertoire for Black based on the Queen's Gambit Accepted, 1.d4 d5 2.c4 dxc4. Rather than get involved in the heavy theory of the Classical Main Line, the lynchpin of the repertoire is the active development of the queen's bishop, after 3.Nf3 Nf6 4.e3, with 4...Bg4. The Nimzo-Indian and Queen's Gambit Declined are amongst black's soundest and most universal answers to 1.d4. In his trademark style, Milos investigates the most positional ways to proceed after 1.d4 Nf6 2.c4 e6. He analyses all the critical lines whilst also taking a close look at all the sidelines and gives Black many new possibilities to spice up the game. We are convinced that this book will bring you inspirational games and results. 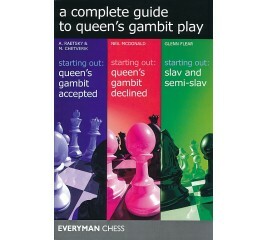 Brought together in one volume as part of Everyman Chess's series of compilation books: Starting Out: Queen's Gambit Accepted, Starting Out: Queen's Gambit Declined and Starting Out: Slav and Semi Slav. 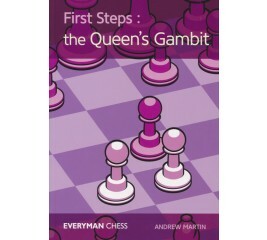 These three classic titles from the Everyman Chess Starting Out Series provide a complete repertoire with the Queen's Gambit. 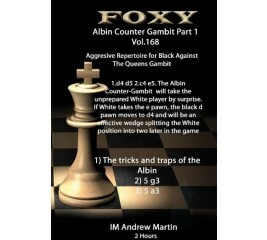 A Black repertoire based on the Queens Gambit Declined. All the opening variations for Black have been chosen according to the latest fashion in the games of the top-class grandmasters. Opening with the Chigorin shows your intention to play for a win right from the outset. After 2...Nc6 Black’s pieces fly into the game putting pressure on White’s position from a very early stage. This opening is ideal for the type of player who strives for an unconvential yet attacking game right from the start. 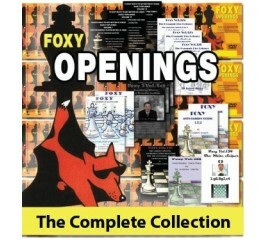 This DVD will take you through all the things you need to know in order to play this opening in a fun and exciting way. Simon Williams describes all the main concepts that you will need to know; so even if you forget the actual moves you will have the right reasoning already imprinted in your mind. 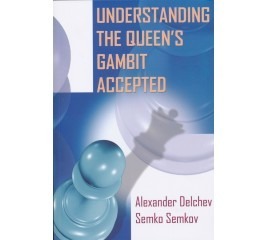 The Queen’s Gambit is one of the great classical openings. All the world champions and elite players have played this opening – most of them for both sides. In this book the highly experienced coach international master Andrew Martin explains the basic ideas behind all the different variations you can encounter after 1 d4 d5 2 c4. 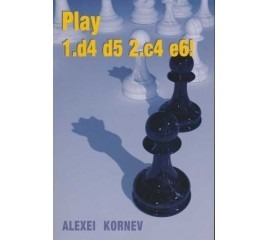 When Boris Avrukh released his 1.d4 repertoire in 2008, it revolutionized chess opening books. Now Avrukh is back with an expanded, updated and revamped 1.d4 repertoire. 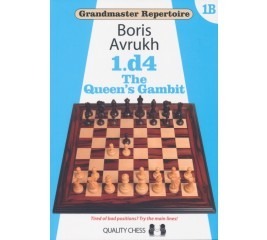 Volume 1B supplies a top-class repertoire for White with the Queen's Gambit, covering defences such as the Slav, Queen's Gambit Accepted, Chigorin, Tarrasch and various others. 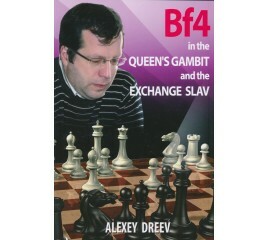 Alexey Dreev analyses many different ways for White to fight for the opening advantage in two modern schemes, in the Slav Defense and in the Queen's Gambit Declined. His choice in the Slav Defense is the exchange variation, which is becoming more and more popular among the average level chess players, as well as at top level. It looked like Black could equalize, but lately White often managed to create problems for Black. By playing 3.cxd5, after the moves 1 d4 d5 2.c4 c6, White tries to obtain an advantage, but also avoids the main lines of the Slav Defense, which may arise following 3.Nc3 Nf6 4.Nf3 dxc4. The Queen’s Gambit Declined (QGD) is one of the most reliable openings against 1 d4. With a rock of a pawn in the middle of the board, Black refuses to be pushed over in the centre. Establishing central control gives Black good chances to launch an attack against the enemy king. 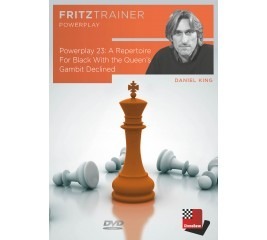 On this DVD Grandmaster Daniel King offers you a repertoire for Black with the QGD. 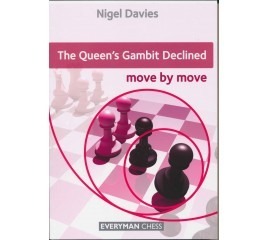 The Queen’s Gambit Declined (“QGD”) has arguably been the most important opening in World Championship matches and elite tournaments for over a century. On this DVD, Sam Collins presents a repertoire for Black based on the rock-solid Lasker variation, reinvigorated with new ideas by former World Champion Vishy Anand and forming the cornerstone of many strong GM repertoires today. 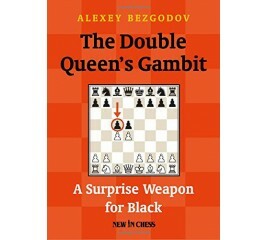 Alexey Bezgodov provides a complete chess opening repertoire for Black against 1.d4. After replying with 1…d5, the former Russian Chess Champion advises you to take up the Double Queen’s Gambit and play 2…c5! against both 2. c4 and 2. Nf3. In The Double Queen’s Gambit Black’s attitude is as active and ambitious as that of White in the Queen’s Gambit. This ambition may seem premature at first sight, but many strong grandmasters have already successfully played this system. On this DVD, we will look at a simple-to-learn yet surprisingly effective system that White can play after 1 d4 d5. In all cases White will play 2 c4 - and if given the chance, 3 cxd5! This leads to fixed pawn structures where piece play takes center stage, and in these systems, White’s pieces are always stronger than Black’s! The main ideas and concepts are thoroughly explained by taking a detailed look at how the best players in the world handle this system. The QGA is a positionally sound and reliable opening, played by world champions Kasparov, Karpov, Anand and Topalov. The authors consider the Classical System with 3.Nf3 Nf6 4.e3 e6, but they in fact prefer alternative, sharper approaches. Against 3.e4 they recommend 3...Nc6 4.Nf3 Nf6! ?, against 3.e3 they choose 3...e5! and against 3.Nf3 their weapon of choice is 3...Nf6 4.e3 Bg4!? Other choices and drawish alternatives are given. In this line of the Tarrasch, White forgoes the fianchetto, with its direct play against d5, opting to keep central tension for the moment by playing 4. e3, after which 4... Nf6 5. Nf3 Nc6 is the normal continuation. Dennis shows us how Black blasts through this and wins the day. 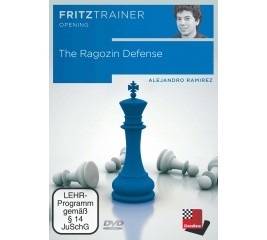 The Ragozin Defense (1.d4 Nf6 2.c4 e6 3.Nf3 d5 4.Nc3 Bb4) is at the forefront of chess theory. The Ragozin is being played by every top grandmaster in the world - it is time you also add it to your repertoire to get interesting and dynamic positions against 1. d4! 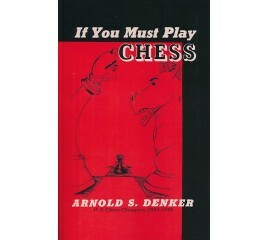 The DVD is based around a solid system of play for Black. It favors positions that are strategically complex while trying to minimize any claim that White might have at an opening advantage. Akiba Kiwelowicz Rubinstein (1880 –1961) was a Polish chess Grandmaster at the beginning of the 20th century. In his youth, he astonished the chess world, defeating many famous players, including Capablanca and Schlecthter. 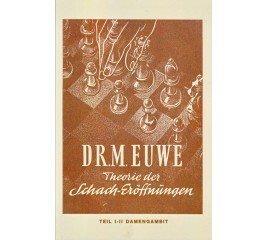 .Rubinstein originated the Rubinstein System against the Tarrasch Defense variation of the Queen’s Gambit Declined. 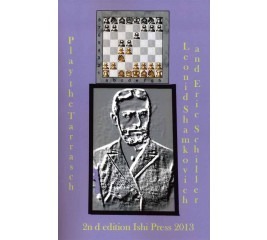 See Rubsinstein employ his system in games against Tarrasch, Marshall, Cohn and Capablanca. The Meran Variation in the Semi-Slav (1.d4 d5 2.c4 c6 3.Nf3 Nf6 4.Nc3 e6 5.e3 Nbd7 6.Bd3 dxc4 7.Bxc4 b5) is a s trategically and dynamically complex opening full of tactical possibilities. And this DVD provides you with a comprehensive overview of typical tactical patterns for both sides. Positional concepts are also explained. In interactive format IM Robert Ris offers you a lot of exercises, including hints and advice that help you to know key tactical patterns of this variation to play it with success. 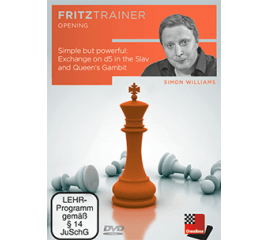 The DVD is a must for those who want to learn more about this opening, and a pleasure for those who enjoy razor sharp battles of the world’s greatest players! 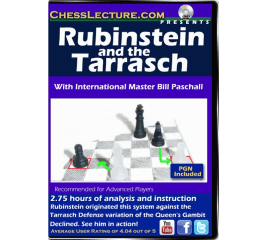 The Tarrasch is an ambitious defense to the Queen's Gambit. Black's concept is a fearless one – he willingly accepts an isolated queen's pawn but in return seizes space in the centre and gains freedom of development for all his pieces. 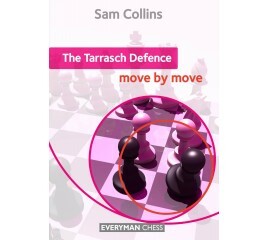 In this book, International Master and Tarrasch expert Sam Collins invites you to join him in examining this popular opening and its many variations. This Slav DVD is a complete opening repertoire for black after 1. d4 d5 2. c4 c6. 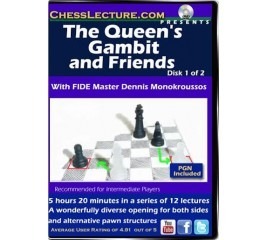 GM Nick Pert has played the Slav defence for over 10 years and provides all his la test and most up to date analysis crammed into 1 DVD. Nick has spent man y hours studying the best Slav lines, and he explains his favourite variations in this DVD. In addition t o the usual video explanations of the French there are some interactive clips where the viewer is tested on a range of theoretical questions and tactics arising from Slav games.